Edmund F. Ely was was born in Wilbraham, Mass., on August 3, 1809. 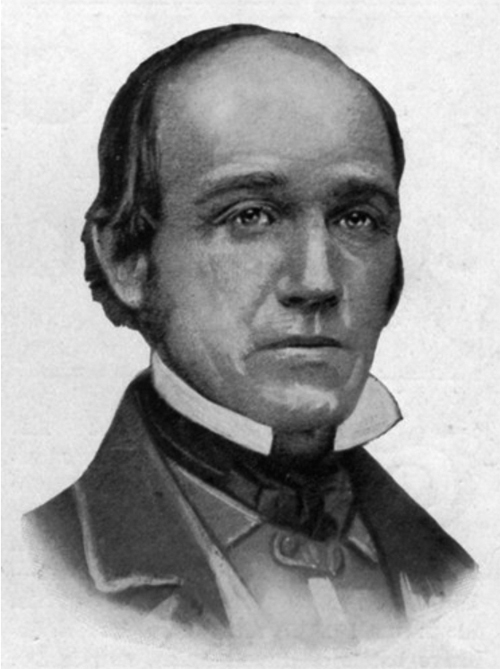 When he was 24 he left divinity school in New York to become a missionary, and arrived at the Head of the Lakes in 1833. He established a missionary school for native Ojibwe at Fond du lac and ministered to Ojibwe at Sandy lake, Leech lake, Lake Pokegama, and as far south as where Pine City now stands—although his journals expressed his frustration at trying to convert them to Christianity. 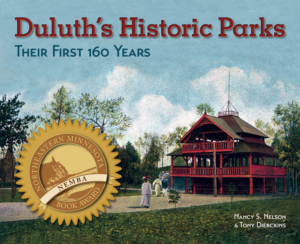 It was said that “By canoe and snow shoes he traveled for hundreds of miles, pursuing his duties as missionary and teacher.” In May of 1836 Ely’s wife Catharine gave birth to Mary Wright Ely, the first child of all-European descent born in what would eventually become Duluth. The Ely’s left Fond du Lac 1839, but they were back in Superior by 1854 and in 1856 established Oneota Township with the Merritt and Wheeler families. In fact, it was Edmund Ely who encouraged Henry Wheeler to walk from St. Paul to Duluth to set up a sawmill in the fledgling community; and it is said that Ely first envisioned Oneota (Ojibwe for “the rock from which the people sprang”) in 1854 when he rowed from Superior across the bay and landed near today’s Forty-Second Avenue West. Ely died in in Santa Rosa, California on August 29, 1882.